I took these the other day of Kenna. Maybe she wasn’t in the mood for a photo shoot. Maybe she didn’t like what she was wearing or how I fixed her hair. I don’t know. But what I do know is that I am mourning the loss of her smile. Her natural, radiant smile. She is now conscious of herself, her smile, how she looks, etc. It is so sad to me, kind of like it’s the end of her innocence (not completely I know, but a stepping stone in any case). I knew this day would come…It doesn’t make her any less beautiful or less interesting, and I don’t love her any less of course. 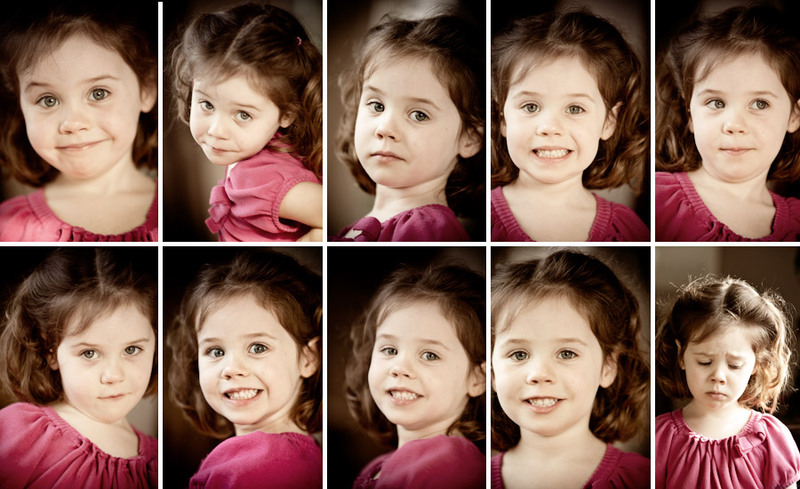 It does however, make for a funny compilation…and don’t you love the sad little face in the last one? I must have been torturing her. They are a hard age to get a good photo of at the moment. She really has beautiful hair and they are beautiful pictures.